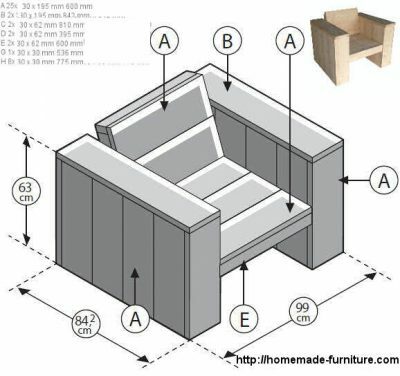 ﻿ Corner bench woodworking instructions free lounge furniture building plan. 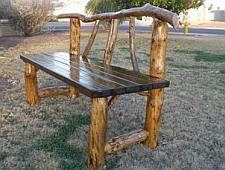 Free woodworking plan to make scaffold wood garden furniture. Learn to make a lounge style corner bench , easy do it yourself examples for beginners. 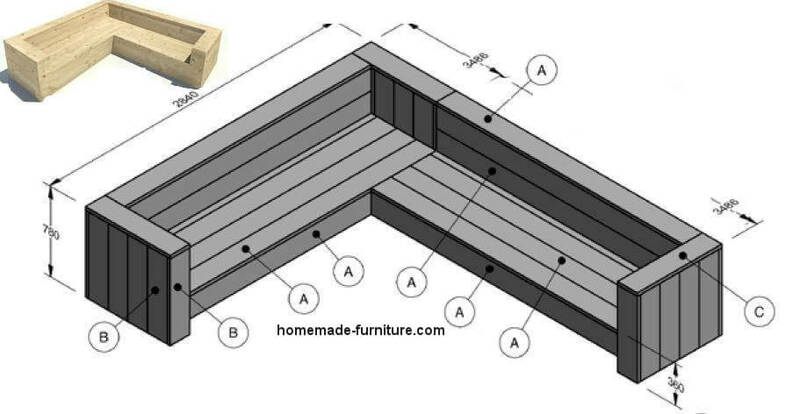 Corner bench woodworking instructions free lounge furniture building plan. 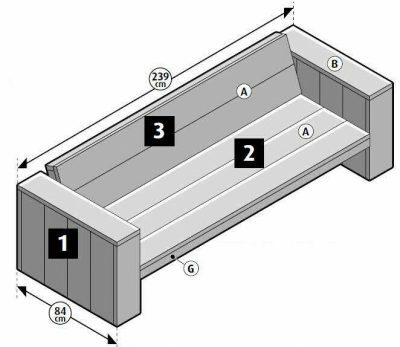 Free furniture plans » Wooden benches and plans to make a bench from scaffolding tubes. » Corner bench L-shape in lounge style. See more examples of these homemade wooden benches. This style is usually called lounge furniture. 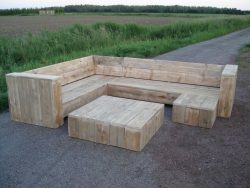 Lounge benches and chairs from scaffold boards can be used inside as well as outside. 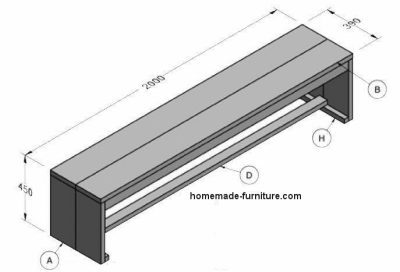 Parts list for the lounge bench in L shape. We added the amount for each different sized element. That way you can use this assembly list for a cutting list as well. A 14 Planks 30x195mm. and 2450mm. long. 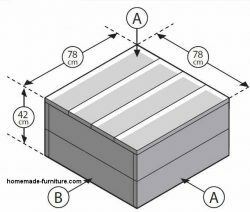 B Furthermore 30 Planks 30x195mm and 750mm. long. C And 3 Planks 30x195mmx842mm. G 6 Slats 30x62xmm and 615mm. long. J 8 Square slats 30x30xmmx135mm. K 2 Square slats 30x30xmmx2385mm. L 4 Square slats 30x30xmmx420mm. M And finally 12 Square slats 30x30xmmx775mm. 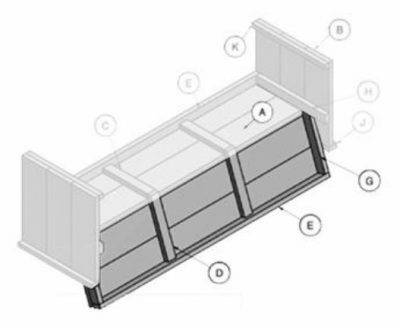 See explanation of construction parts in the detailed woodworking plan and components above. 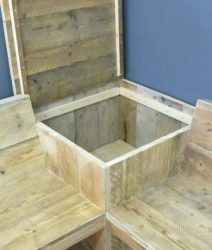 Your own homemade corner bench from scaffolding planks. And finally below the finished bench before the final coat of white wash gets applied. In addition we treated the planks with an insect and fungus repellent product. A good protection is especially relevant if the bench will be used in the garden. Finally ready, your self made corner bench of scaffolding wood. The model for this corner bench as above has at least one disadvantage. Backrests are more comfortable when the are slightly inclined. With the bench design from above you will have to use extra thick cushions. These cushions have to be slightly triangular shaped, in order to provide a comfortable seat. To prevent that problem they fitted a square table in the corner of this corner bench below. It also serves as space to store your cushions, quite handy. 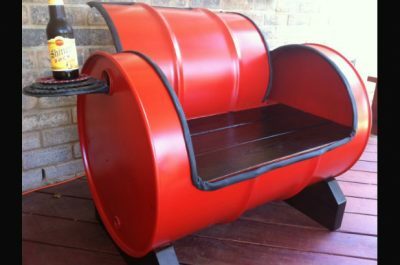 These homemade wooden benches and chairs are great for use in the garden or maybe on your patio. 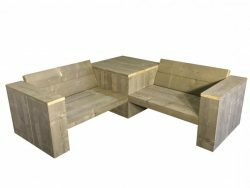 Combine the corner bench with wooden side tables and straight lounge benches. 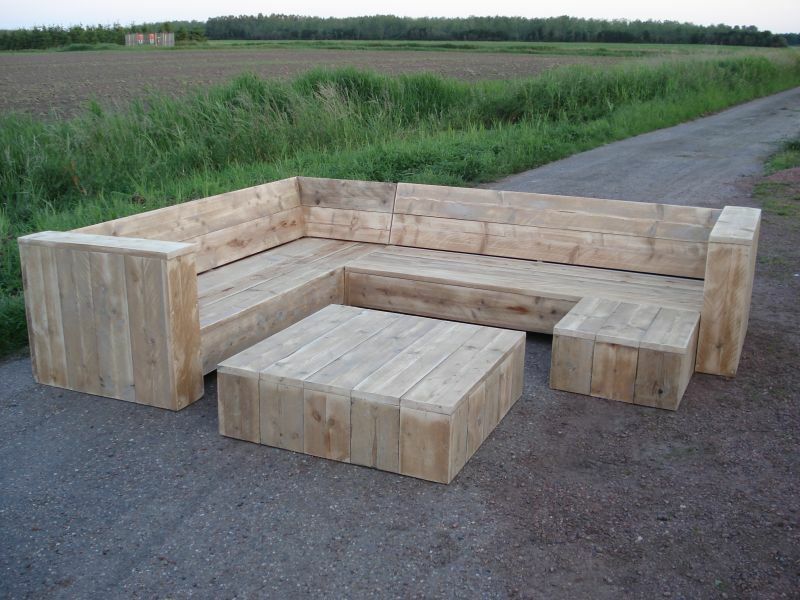 Obviously it will look very nice if you add a few block seats and planters in the same sturdy lounge style. 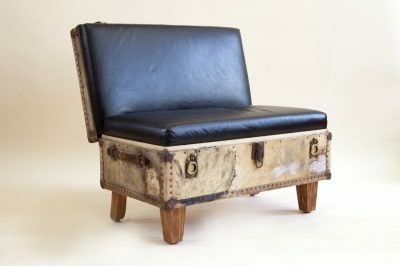 Low sidetables made of scaffold wood can obviously also be used as a footstool and extra seat. 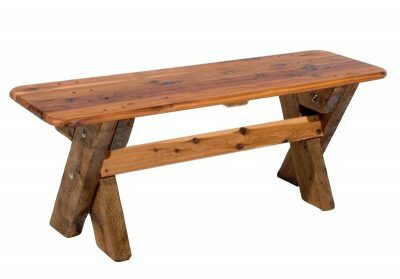 Alternatively you can also make a corner bench from two lounge benches or flat benches with a square lounge table in the corner. Straight wooden benches and a lounge chair in the same scaffolding wood style. These lounge chairs are assembled from four panels. These lounge benches and chairs consist of four seperate panels. 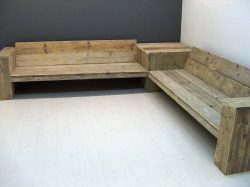 More examples for benches, made from reclaimed materials.